Illinois State University’s College of Fine Arts, in partnership with the College of Education, has been awarded a $50,000 contract to work collaboratively with two Chicago Public Schools, Clara Barton Elementary (K-8) and Northside Learning Center (9-12), to deliver professional development and create standards-based music, movement, and theater-inclusive curriculum and assessments for students with disabilities. This project will integrate pre-service teachers with in-service teachers along with the community organizations of the North River Commission of Albany Park and the Greater Auburn Gresham Development Corporation to foster critical educational partnerships in adapting assessments based upon curriculum goals that draw upon the principles of Universal Design for Learning (UDL) in existing arts education curricula. The John F. Kennedy Center for the Performing Arts, located in Washington, D.C., and established as the nation’s performing arts center to honor President Kennedy, produces and presents an unmatched variety of theater and musicals, dance and ballet, orchestral, chamber, jazz, popular, world, and folk music, multimedia performances, and exemplary arts education experiences for people of all ages and abilities. Through its education work, the Kennedy Center along with its affiliate Very Special Arts (VSA), have unlocked the door to arts learning for millions of young people, families, and teachers and have been at the forefront of making arts education accessible to students with disabilities. 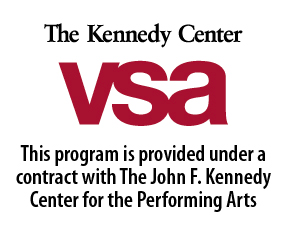 The Kennedy Center and VSA focus on creating and delivering exemplary arts education programs for students with disabilities in pre-kindergarten through grade 12 as well as their teachers and educators in urban and rural communities. These programs center on meeting the needs of all students, specifically those with disabilities and those from low-income families, through sound pedagogical principles, quality curriculum, and standards-based/aligned instructional materials. Children with disabilities are provided the valuable advantages of experiencing and participating in the arts through these efforts. Research has shown that arts experiences improve academic achievement and intellectual development; enhance critical thinking and problem solving skills; and enrich social, interpersonal, and life skills. The research team from Illinois State University includes Christy Borders, assistant professor of special education; Kimberly McCord, professor of music education; Laurie Thompson-Merriman, assistant dean and professor of dance; Sandra Zielinski, professor of theater education; Dani Loseke, clinical assistant professor of special education; and Krista Chmiel, graduate student in music.